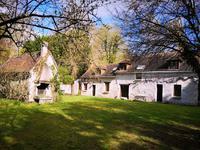 Set in the truly stunning countryside, of Maine et Loire in the Pays de la Loire. Good . . . 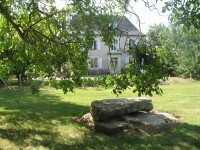 Situated in Velluire a village on the Marais. Only 40 minutes to La Rochelle and one hour to . . . 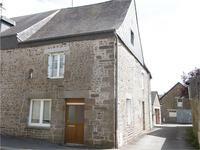 This is an attractive detached 3 bedroomed stone house waiting to be a home again. It has . . . 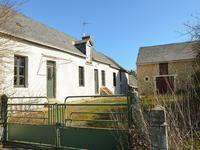 Very pretty and deceptively spacious detached 3 bedroom cottage on country lane just outside the village of Vernantes. This lovely cottage is approximately 2km from the village of Vernantes in the heart of this . . . Elegant Art deco house built in 1930's. 5 bed property close to Mamers town centre, with . . . 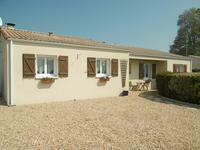 Situated in the village of L'Hermanault, this lovely property offers spacious accommodation . . . This semi-detached, hamlet property suits either as a permanent home or a holiday home. It . . . This granite stone house, full of character and original features, is ideal as a spacious . . .
Large family home with 4/5 bedrooms on 3 floors. Well tended walled garden, garage and . 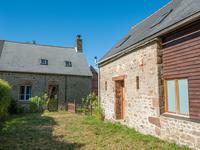 . .
Two delightful stone cottages, one restored to a high standard with two bedrooms and ready to . . . Fully renovated to an extremely high standard this property with its three large bedrooms is . . .
An ideal holiday or permanent home this two bedroomed home is in the middle of quiet village . 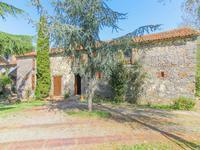 . .
Stone farmhouse with 10 bedrooms, swimming pool and large gardens. Rustic 16th Century stone farmhouse located in a quite hamlet. This lovely property was run . . .
Beautiful 4 bedroomed Traditional Restored Longere in a lovely position with over 2 acres of gardens. An opportunity to acquire a fabulous longere situated in a lovely spot between the villages . . . Situated in Le Mans. Calm and scenic, 7 minutes from the train station, two steps from the . . .
Beautiful 3 bedroom watermill with 5.5 hectares of land. Fabulous restoration of 16th century watermill. A 3 bedroom home. Fitted kitchen, formal . . . Traditional farmhouse renovated to a high standard. 3 bedrooms, 2 bathrooms, beautifully . 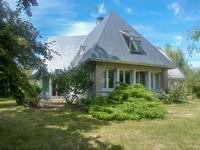 . .
5 bedroom detached property in central Vendée with wonderful views. This detached two level house, with large lounge, south facing veranda and five bedrooms has . 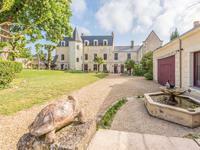 . .
Deceptively spacious 4 bedroom pavillon situated in the popular village of St Denis de Gastines. This property is beautifully decorated and would make an ideal family or second home. You . 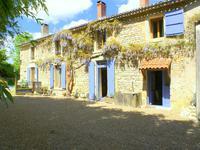 . .
Beautiful stone built fully renovated character property with detached barn in quiet hamlet. This wonderful character property with exposed beams and stone work renovated with taste . . . Originally built by a rich family and gifted to the village of Jublains as the presbytery, . . . Elegant Mansion house full of history with many authentic features C19th - beautifully renovated. Private home or luxury guest house. 2h Paris. 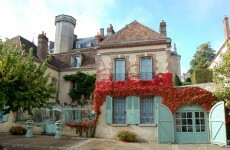 Charming C19 century mansion house set high up on the hill in the historic town of Montmirail . . . Located in a quiet cul-de-sac of 3 houses with views over the River Vie and the Apremont . . . This attractive building used to be a hospital. It comprises 14 individual flats, and is . . . This charming 4-bed farmhouse and gite have all been renovated to a high standard throughout . . . This lovely house in a quiet hamlet location is fully modernised throughout, while retaining . . .
Beautiful house with character and charm dating back to the 16th Century restored . . . 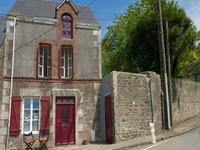 This pretty little cottage is an ideal pied a terre to enjoy this beautiful part of the Loire . . . Ideally located plot of land (687m²), just 100m from the harbour, beach and cafe/restaurants of Jard sur Mer, 20km from les Sables d'Olonne. Located at the end of a short cul-de-sac, with one other bungalow, is this plot of land, . . .
Manor house recently run as an upmarket B&B. Large function room, pool with covered entertainment area, beautiful park with peaceful country views. Gorgeous character property in beautiful setting, offering opportunity to continue running as . . .
Tucked away at the end of the lane, all the major works have been done, so you can add your . . . Beautifully renovated property with so much potential as a family home with options to create . . . 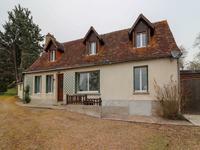 Fully renovated farmhouse with entrance into a traditional farmhouse kitchen/dining room, . . . Ground floor studio apartment on the sea front in La Tranche sur Mer with terrace facing the Ile de Ré, shared pool. 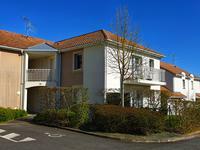 Fantastic opportunity to acquire a ground floor studio apartment (29m²), for personal use or . . .
Charming 4 bed house (123 m²)with 2 large outbuildings, a pond and 3 acres terrain in the popular village of Changé, only 10 minutes from Le Mans. Set just outside the village of Changé this property offers a lot of possibilities. Situated . . . 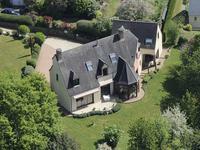 This attractive property is set in the lovely Sarthe countryside and benefits from great . . .
A property full of potential as a fishing venue with a registered 6acre closed lake with . . . Superb Architect designed spacious 5 bedroom house with all modern comforts in the . . . 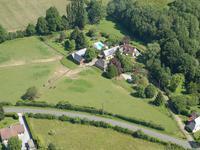 This extensive property is situated on a quiet country lane just outside the village of . . . Unusual renovation project at a very attractive price! 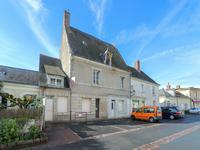 Townhouse in the village centre with butcher’s shop incorporated, with outbuildings and garden. Old building with features of historical interest that could make a large family home once . . . 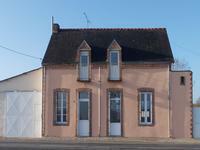 Unique renovation project: countryside living in the heart of an attractive village near Le Mans with 2 acres land. Great potential! 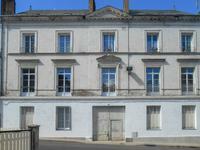 Great as a family home or for conversion into a chambre d'hôtes The town center, schools and . 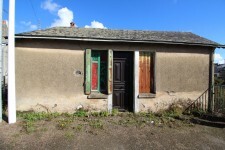 . .
Charming Village House in Landivy of 64,40m2 comprising: On the ground floor: fitted . . .